Café Des Beaux-Arts features an outdoor Parisian-style patio and is the ideal spot to people-watch and enjoy the desert lifestyle. 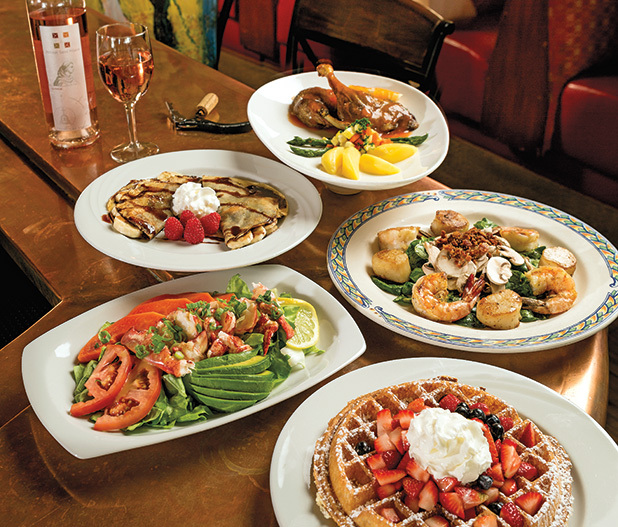 The menu offers an outstanding selection of fine French entrées, savory crêpes, and salads. 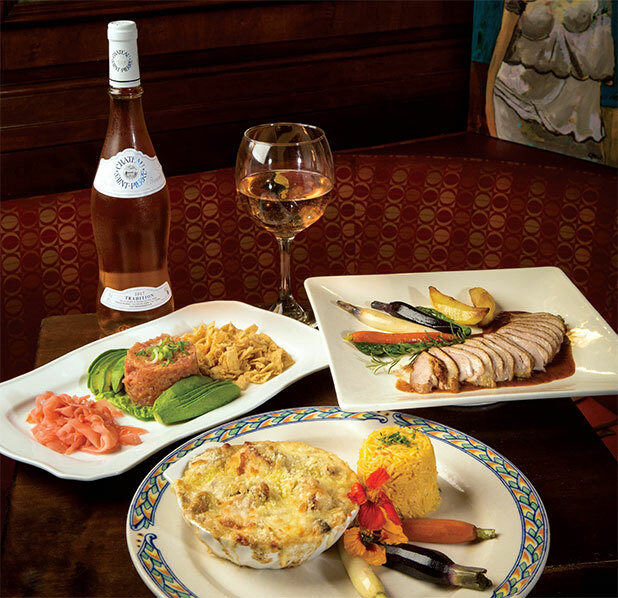 The U-shaped copper bar serves a delectable "small bites" menu with live entertainment one night a week.